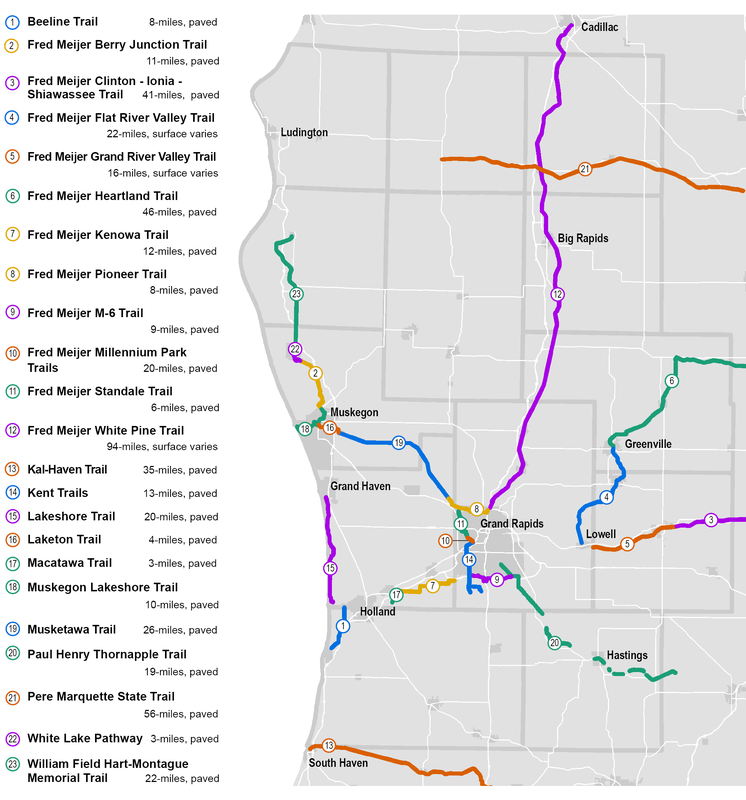 Comprised of 13 counties in West Michigan, the Grand Region is home to an incredible network of significant shared use paths and trails with more than 865 miles already existing and another 530 miles planned by a variety of agencies. 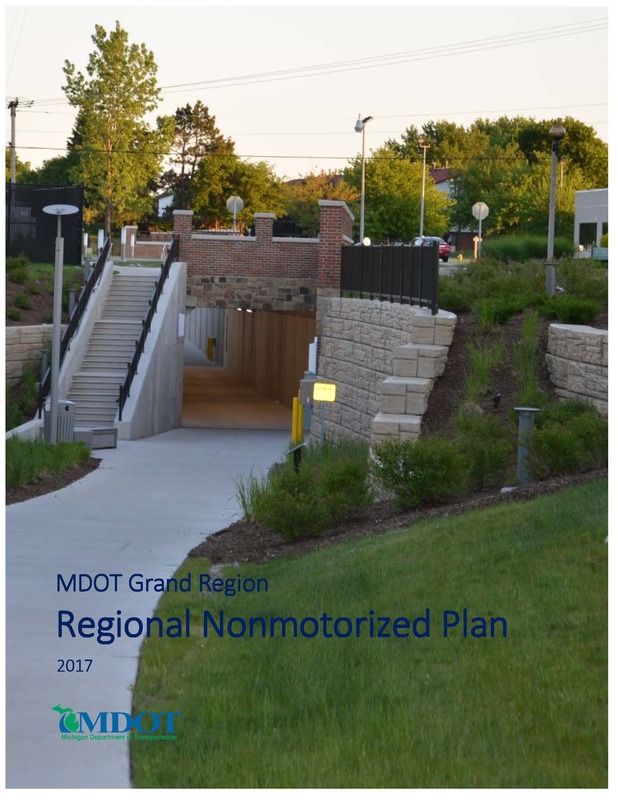 The Michigan Department of Transportation (MDOT) developed a Regional Nonmotorized Transportation Plan for the Grand Region to document the existing and proposed network and identify priorities for coordination and nonmotorized investment, including shared use paths/trails, bike lanes, paved shoulders, and shared lane markings. For MDOT, this document serves as a critical piece for context-sensitive planning and development along with guidance on filling gaps along or across MDOT-owned trunk lines and focusing resources. At the community level, this plan provides tools, actions, and recommendations to assist in identifying and improving key corridors that serve both a local and regional need within the greater nonmotorized network. The livingLAB project team, which included The Greenway Collaborative and Williams & Works, gathered, organized, and analyzed GIS data, held 14 public open houses, facilitated an Advisory Team, and worked through plan development. The project also included the design of new Bike + Trail Guide Maps for the Grand Region. The Grand Region Nonmotorized Plan can be found here. 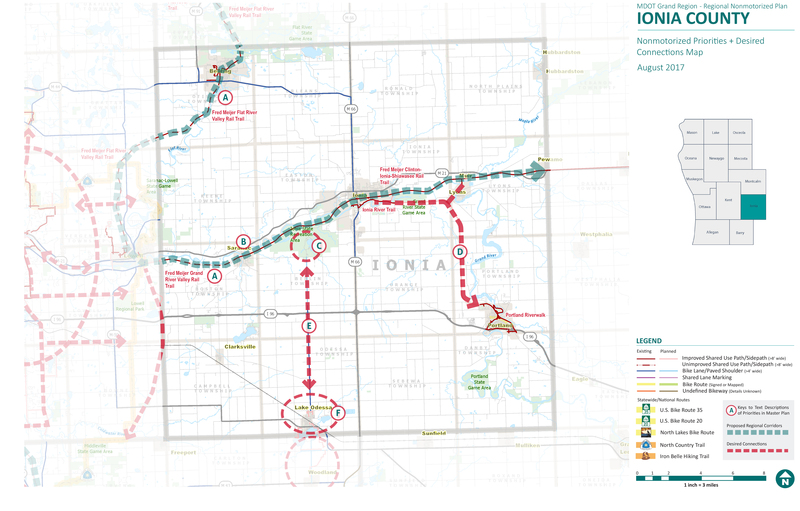 The new Road and Trail Bicycling Maps can be viewed here.